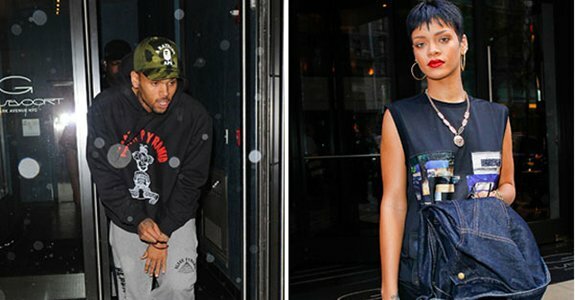 Rihanna has hinted she’s once again split from Chris Brown. Rihanna and Chris Brown reconciled earlier this year even though Chris is still on probation for beating her up in 2009 but she took to her Instagram account on Tuesday to post a message which appears to confirm reports the couple have called time on their relationship. Rihanna, 24, was left reeling recently after her on/off boyfriend Chris Brown was pictured partying with scantily-clad girls on tour in Paris and enjoying a meal with his ex-girlfriend Karrueche Tran in Dubai and vented her feelings in a note to her fans. She uploaded a photograph to Twitter of a heartfelt letter, thanking fans for their constant support and telling them to stand up for what they believe in and refusing to be defeated by mistakes and “curve balls”.